Laurianne Debanné dug her hands into warm soil. Buildings formed a concrete fortress around her; cars rushed by on the oil-stained street; people hurried past with their eyes on their cell phones. More than one million people call Montréal, Québec, home—but few are Christians. People live within a few steps of one another, but walls separate them. People are hungry for community. They’re also hungry. Montréal’s paved roads and skyscrapers made the city a “food desert.” People travel far on crowded city blocks for fresh fruits and vegetables, but many don’t have the time or funds, so they try to fill their stomachs with sugary convenience store snacks. But then a few years ago, Resonate Global Mission partnered with Classis Eastern Canada, Diaconal Ministries Canada, First Christian Reformed Church of Montréal and on-the-ground-ministry Christian Direction to form the initiative Mission Montréal. Now urban gardens are growing, bringing neighbors together, and pointing them to God. 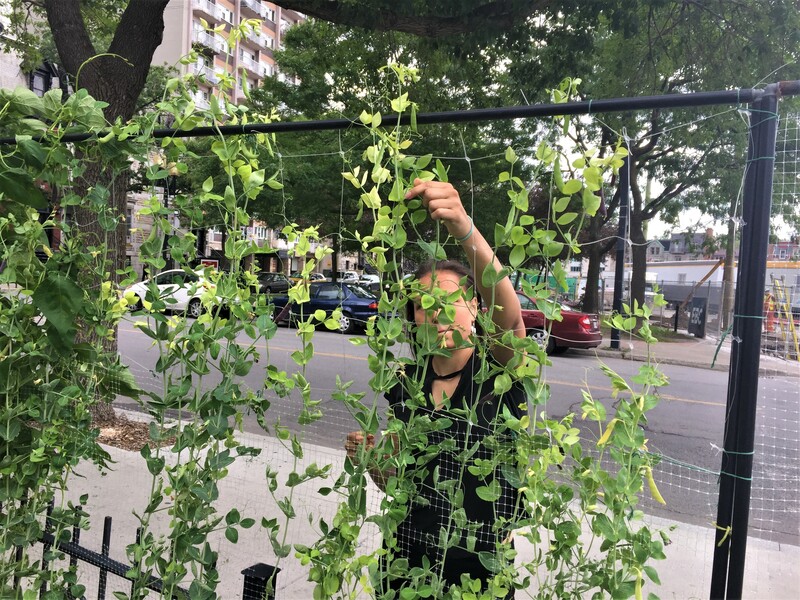 To spread the gospel and meet one of the community’s greatest needs, Mission Montréal began growing urban gardens through Christian Direction’s Innovation Youth center—and they’re using one of Montréal’s greatest resources: university students. Thousands of curious, bright, motivated students study in the city’s universities. Some travel from around the world; many, like Laurianne, have lived in Montréal all their lives. A student of environmental science, Laurianne worked for two summers in urban gardens in the Peter-McGill neighborhood right downtown. She led 17 youth to plant, water, and weed the fruits and vegetables in the gardens. As they worked, something surprising happened: the people rushing by on the sidewalk paused to marvel and ask questions. Laurianne notes that the urban gardens are an opportunity to live out God’s mission. As the fruits and vegetables grew, Laurianne and the youth she worked with reaped a harvest to share with families and ministries in their community. Now more people have access to fresh food. But these gardens also brought the community together and provided opportunities to share their faith. 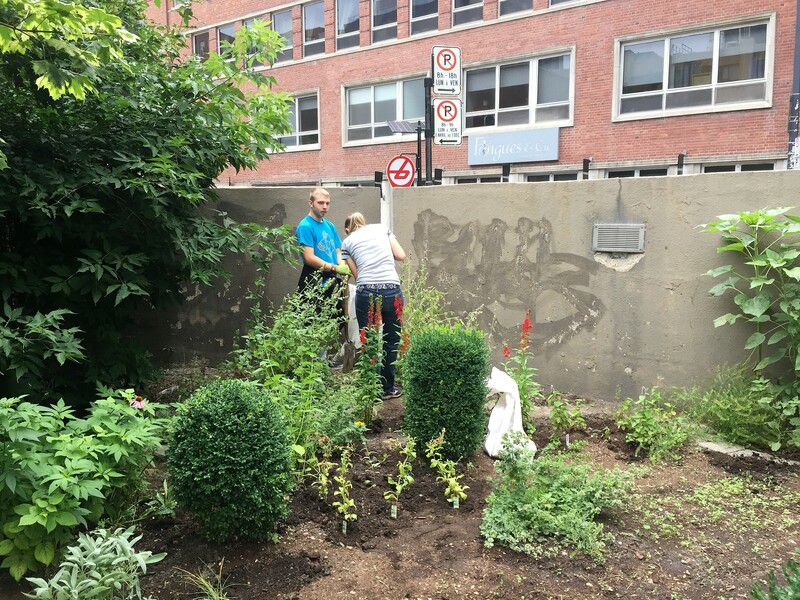 Praise God for university students like Laurianne committed to joining Mission Montréal’s work in these urban gardens. Pray that this work will continue to bring neighbors together, glorify God, and lead people to the truth.